I've been on it a few times. It's super glitchy. One person can hear one but the other cannot hear anything. You have to rejoin the channel like 100x before it works. yeah, had that problem with Babyshark recently. That was the first time it happened for me, before that it was consistently 99% perfect. Wonder if it's related to browser version vs desktop client, or connection, or maybe a bug introduced in a recent update. Discord is very actively developed tho so will hopefully be fixed soon! 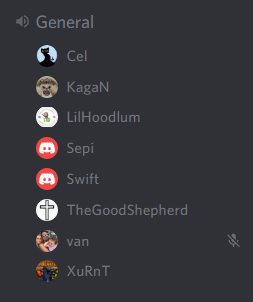 The discord server is more alive than ever! tons of new folks have arrived recently and lots of large group voice chatting is happening! we also have a whole bunch of new custom war2-themed emotes !! 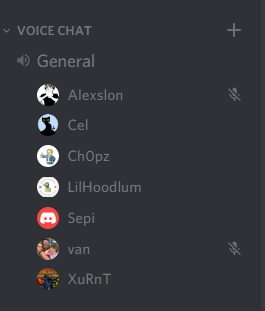 also DISCORD EXCLUSIVE: freestyle rap by van, challenging long time reigning war2 rap legend USA~Feature ! everyone should really check it out and make it a regular part of their gaming as well as a daily hangout place to mingle with your fellow war2 comrades! It is the future .. going to blow up the game.